This page contains answers to common questions handled by our support staff, along with some tips and tricks that we have found useful and presented here as questions. Note: In these answers we will follow a few shorthand conventions for describing user-interface procedures. Front panel keyboard selection of a particular parameter will be presented like this: <Mod: Data – Bit Rate>, which means that you should press the “Mod” button, then use the left or right scroll keys to select the “Data” column (viewed in upper left of LCD Display) and then the up or down scroll keys to select the “Bit Rate” parameter (viewed in upper right of LCD Display). The actual current parameter setting is shown on the lower line of the display. There are so many options and parameter settings! Where do I start? The PSM-500/4900 is highly programmable. This can make the set-up daunting at first. If you are unfamiliar with the common terms and modes used in satellite communications you should first refer to Section 2 of the manual “Installation and Setup”. As a starting point the modem can also be taken to a default basic set of operating parameters by using the front panel parameter and select option “0” or “Factory”. From that point you make necessary changes to set the desired configuration. Once all parameters are set as required the configuration can be saved using the control. Once a configuration is saved you can always go back to this configuration by recalling it. How do I make the PSM-500/4900 talk to a xxxx brand modem on the other end of a link? The PSM-500/4900 has several new programmable features which should make this easier than ever. First, where possible if both modems adhere to Intelsat IESS standards then those defined parameters should be set the same. Still all modem manufacturers have their own conventions for setting parameters with no specified standard, so for example some modems may have a different modulation sense for data bits than others. This would make no difference between two modems of the same type, but would invert data between modems of different types on each end of a link. Most items of this type are programmable in the PSM-500/4900 modem. Why doesn’t my PSM-500/4900 talk to another PSM-500/4900 over the satellite? I have set all the parameters the same. Any satellite modem has a significant number of parameters, which are settable in order to achieve the maximum performance at the least cost. Because there are so many parameters it is possible to have one unit with a slightly different parameter set than that at the other end of the link. If after insuring that all parameters are set the same and that the acquisition range is correct and that there are no interfering carriers; one other method is to take both modems back to the factory default condition and rebuild the configuration from “scratch”. Use the front panel and select option “0” or “Factory”. You may want to save your current configuration before resetting to the default. What is the delay from end to end using the PSM-500/4900? The satellite link itself represents a fixed and very slightly variable delay due to the distance of the satellite from the two stations linked. This delay is approximately 250 milli-seconds. In addition the M5 Manual, “Appendix A” or this web site in “Tech Notes/Tech Note 5” lists the specified fixed and rate dependent delays incurred in the modem’s transmit and receive processing. These include delays or latency in the IBS Multiplexer, Reed-Solomon and Turbo Product Codes FEC if equipped and enabled..
Can I use the PSM-500/4900 to help align the station antenna? Is an AGC output provided to feed to automatic antenna positioning equipment? Yes – The PSM-500/4900 has a single analog output that is produced by the main processor and converted to analog by a D/A converter. The parameter selected for this output can be either the AGC, Eb/No or Mod CXR Level selected in the <Unit: Monitor – Mode>. The slope and polarity are selected using the “Zero” and “Full” parameters below this. The signal is available at the rear panel on the J5 Alarm Connector, pin 5 with the Ground return on pin 6. See Installation section 2.3.3, “Alarm Connection”, and Operations section 3.11 for more information on connection and use of the monitor function. The AGC has been the classic parameter used for this type of function, but the PSM-500/4900 provides an output that may be better in most situations. That is the Eb/No, which is a function without the slope changes and negative signal sense of the AGC signal. Where are the “Eye Pattern” test points for the I and Q channel receive signals? The PSM-500/4900 does not have an analog test point to view the eye pattern. All information at this point in the receive chain is digital and measured by the modem processor. The result of this measurement is presented as the Eb/No. If it is absolutely essential to view the eye pattern as analog test information, contact the factory for availability of a special test fixture for conversion. My PSM-500/4900 and PSM-2100 do not agree on the Eb/No parameter with Reed-Solomon codec installed? The PSM-2100 was designed before Intelsat IESS 309 added the section defining how the Eb/No was measured with Reed-Solomon concatenated coding, and uses a different method. The method is encapsulated in ASIC and not changeable. Unfortunately the IESS lists two possible methods of computing the Eb/No with Reed-Solomon. The PSM-500/4900, being of more recent design, adheres to both IESS definitions by allowing the reference point to be varied. The two therefore may read differently, but actually achieve the same performance. Refer to Appendix RS for more information on setting the calculation parameter. If you think that the PSM-500/4900 modem’s performance is below that of any other commercial modem we would be very interested. In extensive testing we have found no other modem that can outperform the PSM-500/4900 in acquisition time, low Eb/No lock performance or BER vs. Eb/No performance. What happened to the Burst Modulator mode in the PSM-500/4900? The PSM-500/4900 has the basic circuitry necessary to implement burst modulation. The burst demodulation scheme compatible with the modulation used in the PSM-2100 is no longer manufactured, and there is no clear standard for implementing this capability. Modifying the PSM-500/4900 to work with a specific burst demodulator scheme is an option which requires contacting the factory for availability. How do I (why would I) use the modulator and demodulator functions to invert the spectrum? These options were added into the PSM-500/4900 to aid in building specialized systems which may invert the spectrum sense of the received carrier. The main cause of this may be an up or down converter which performs a spectrum inversion. How do I use the modulator and demodulator functions to vary the FEC C0 and C1 values? These options were added into the PSM-500/4900 to help achieve compatibility with other brands of modems at the other end of a link. These parameter settings also allow changing the modulation of adjacent carriers on the satellite so that a demodulator will not lock to them. This has value if the carriers are placed closer than the required receive acquisition range. Using this scheme requires the use of the demodulator search mode. Intelsat in the latest IESS 308/309 has changed the definition of the C0 and C1 values for certain BPSK symbol oredering. The use of this option allows compatibility with any definition. Does the PSM-500/4900 have AUPC and AUFC and are they compatible with the PSM-2100? The PSM-500/4900 does not have AUFC, but retains the AUPC from the PSM-2100 type modems. 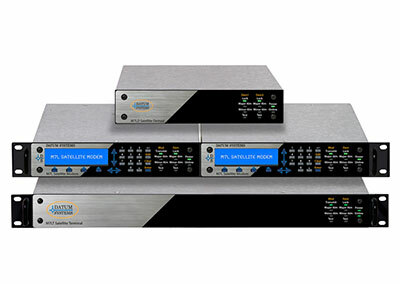 Like the PSM-2100 the built in AUPC (Automatic Uplink Power Control) can be enabled only if the multiplexer option is installed or if an external communications channel is provided. The PSM-500/4900 AUPC is compatible with that in the 2100 when the PSM-500/4900 modem IBS Multiplexer is placed in the “Enhanced” mode. It is not compatible in the “Custom” mode. How do I set up the IBS Multiplexer and AUPC Option in the PSM-500/4900 to be compatible with the PSM-2100 Modem? The PSM-500/4900 Modem is capable of varying the parameters for the IBS Multiplexer beyond the capabilities of the PSM-2100. To maintain compatibility with the PSM-2100 specific similarly named options are available in the PSM-500/4900. These modes are the “Standard” and Enhanced” multiplexer operating modes. The 500/4900’s “Custom” mode is not compatible with the PSM-2100. For the AUPC to function and to be compatible with a PSM-2100 it must be set in the “Enhanced” mode. How do I set up the Reed-Solomon Option in the PSM-500/4900 to be compatible with the PSM-2100 Modem? The PSM-500/4900 Modem is capable of varying the parameters for the Reed-Solomon Codec beyond the capabilities of the PSM-2100. To maintain compatibility with the PSM-2100 specific similarly named options are available in the PSM-500/4900. When enabled the RS FEC Mode should be set to “IESS-308”. This will automatically set the “n”, “k” and “Depth” options to 126, 112 and 4 respectively up to 1.544 Mbps. At or above that rate the PSM-500/4900 “n”, “k” and “Depth” options must be manually set to 126, 112 and 4 respectively using the “Custom” Mode. The 500/4900’s “IESS-309” and other “Custom” modes are not compatible with the PSM-2100. Is Datum Systems' Turbo Product Codes compatible with that made by other modem manufacturers? There is an extremely good chance that it is not compatible for several reasons. First is that there is no standard for implementation of TPC. 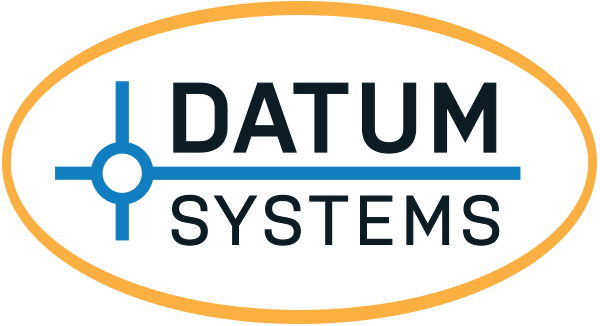 Second, Datum Systems spent a lot of time and development in implementing a full set of TPC parameters (i.e. Rates 1/2, 3/4 and 7/8) and insuring the absolute best performance with no compromises. We have seen no other TPC implementation that even comes close to ours. Third, because we have many customers that use our modems in systems requiring low latency we implemented an alternate “Short Block” mode that reduces the typical TPC delay by approximately 1/3. Simply put – if you want real TPC with the best performance you must get our modem. How do I determine the transmitted "Symbol Rate" of the modem? This particular parameter used to be a lot simpler to define. With the introduction of Turbo Product Codes coupled with all the other modem modes and options like programmable IBS multiplexer data load it is now extremely hard to define. The modem knows though, and beginning with the first version of software which supports TPC (revision # 0.62) a new front panel parameter has been added showing the current transmit/receive symbol rate. I am connecting to a Cisco router and the link does not work. The router status shows an "Up/Down" condition. What is Wrong? We have seen this particular case more than once now. The Cisco router status indication should mean that it sees the Link as “Up” and the Protocol as “Down”, meaning that the link can communicate but the protocols set in the two routers are different. What is the proper transmit and receive clock synchronization method when using the modems to connect two routers over satellite? Since the TCP/IP packets being sent by the router (actually it is usually converted to an HDLC packet for transmission) are asynchronous in nature the synchronization is easier than, for example, a T1 or E1 line. Each end of the link can be set to a modulator clock source of “Internal” and a demodulator clock source of “RCV Clock”. Each direction of the link is then independently clocked and relies on the transmitting modem’s internal clock to synchronize the bits from the router. How do I enter a number with a minus sign? At any time during the “Edit” process the “+/-“ key will change the sign of the current entry (if the change is possible). In the quick edit mode this can be the first key pressed, so for instance, if the current setting for modulator transmit output level is –10 dBm, then pressing “+/-, 12” will enter a value of –12 dBm. You could also press “1+/-2” or “12+/-” with the same result. Why doesn’t the PSM-500/4900 front panel act like the PSM-2100? How do I make it act like the PSM-2100? How do I make it act like the PSM-2100?”]How do I make it act like the PSM-2100?” open=”off” use_border_color=”off” border_color=”#ffffff” border_width=”1px” border_style=”solid” disabled=”off”]The PSM-500/4900 has many more features and programmable options than the PSM-2100 modems. A close match is achieved by disabling the “quick” entry mode and remembering to press the “Edit” key first instead of the “Enter” key. Once you become accustomed to the “Quick” entry mode and using the change sign (+/-) and decimal point keys you will find it more convenient than any entry on the PSM-2100. Why does the transmit carrier turn off whenever I make a change? First, the transmit carrier can be set to a mode which will turn the carrier off if any change is made that would result in a possible interference with other carriers on the satellite. This mode can be set to one of three states: Automatic, Confirm or Manual. Automatic will turn the carrier off during the parameter change and return the carrier on (if currently enabled) after the change is completed, Confirm will ask if the carrier should be left on (requiring a “yes” or “no” answer), while Manual will always turn the carrier off after a change. This option is set in <Mod: IF – Mute>. If the carrier is always turned off on a parameter change the setting described is probably set to “Manual” mute mode. Why can’t I find or see a certain option parameter that is shown in the tables? Many parameters are only available when another option has been enabled which requires that parameter. For example, the <Demod: IF – Sweep Time> parameter is only visible if the <Demod: IF – Sweep Mode> is set to “Search”. These options are shown in the tables as gray to indicate this status. Can I control the far end modem from the front panel of a local modem? The PSM-500/4900 has the ability to control the far end modem (when linked and locked) from a local modem, but only using the remote control port. This ability requires the addition of the Multiplexer option. Control from the front panel is prone to possible mistakes that would lead to accidentally setting the remote modem in a state that could not be recovered without going to the remote site. The far right “Remote” or “Local” LED is blinking. What does it mean? The Unit IrDA and Remote Activity parameters allow setting the local and remote lamps to blink when activity is detected on the IrDA (Local) and remote (Remote) control ports. The same is possible for the “Local” LED using the Unit Keyboard Activity control. I can’t find the control to disable either the modulator or demodulator function? This function was originally not available in the PSM-500/4900. We knew of no one who used it except accidentally, resulting in return of the modem as faulty. NEW INFO: We have found at least one user desiring this ability, and this feature has been added in versions 0.50 and later of the PSM-4900 code. What do the abbreviations on the front panel LCD Display mean? See the Manual section below. Where is the ASCII Control packet structure in the PSM-500/4900? The PSM-500/4900 does not have an ASCII control packet protocol, only the binary packet protocol. Is there a “compatibility” mode for the remote control binary packet protocol that looks like that in the PSM-2100? No. The new commands dictated a new structure to implement the significantly greater number of commands available in the PSM-500/4900. Many items such as the interface structure, data rates and available options are so different that creating a compatible command set was impossible. The packet structure itself is virtually identical though and in most cases the new command set can be accommodated by a “driver” tailored to the PSM-500/4900. How do I make a cable to connect to my V.35 (or EIA-530) device? See the “Installation” Section 2 and Appendix C on “Cabling Specifications” which shows how to make cables to interface between the modem’s DB37 connector and other types of common connectors used. Where do I get a “Y” cable to implement 1:1 redundancy? These may be purchased from Datum Systems or it is possible to build your own. The connections are discussed in Section 2 “Installation” and shown in Appendix C, “Cabling Specifications”. Why do I keep getting “sync losses” on my link? Or why does a BERT test show “sync losses”? This is usually a sign that some section of the link has a clock or data inversion. See section 4 of the manual for “Loop” testing to try to determine where the problem is and correct either the wiring or change the modem data or clock sense. Why does the modem occasionally fail to operate with my DTE equipment, and to correct it I have to invert the data? The only cause in an otherwise functioning modem for this symptom is that the differential encoder/decoder is turned off. Modems use the differential encoding to determine the proper relationship between the clock and data. If the encoder is turned off the modem has a possibility of locking to a signal with the wrong phase. For all normal operation of the modem the Modulator differential encoder and the Demodulator differential decoder must be “Enabled”. The Turbo Product Codes (TPC) option does not use the differential encoder, and when it is enabled the differential encoder and/or decoder is turned off and the option is removed from the parameter matrix. How do I use the built-in Bit Error Rate Test (BERT) set? See Maintenance Section 4.1.2 of the Manual for information on using the built-in BERT. Can I use the built-in Bit Error Rate Test (BERT) set to test the line or DTE side equipment? Yes and No. The BERT is designed to transmit and receive to the modem side. It is however possible to use two other schemes in certain cases. First is to use the BERT at the far end modem to generate and/or sink the BERT test pattern. Second, the local modem can be set into an IF loop-back mode to use just one side of the BERT at a time. For example a test pattern can be sent from the receive output by enabling the transmit BERT only while setting the IF loop-back mode. See Maintenance Section 4.1.2 for information on using the built-in BERT. Why doesn’t my 1:1 redundant modem pair switch on certain alarms? The 1:1 redundancy logic is programmable on two levels. First is the <Unit: Redundcy – SW Rqst> parameter which selects whether a switch is requested on all alarms, alarm A and/or alarm B. If it is set to any options but “On All Alarms” then the particular alarms that are summed into the A and B alarms are themselves programmable, creating the second level. See the discussion in section for more information. My modem is limited to 64 kbps (M4 PSM-2100 type) or 128 kbps (M5 PSM-500/4900 type). What's Wrong? The modem is probably set up for a synchronous RS-232 data interface type. You can find this in the Unit Status column of the front panel display by scrolling up or down. This is a physical limitation of the interface type and ICs available at the time of design, and closely follows industry standards. The other interfaces will all operate up to the maximum that the modem is capable of. What do the abbreviations on the front panel and in the manual mean? A good example is the display and manual representation “Redundcy SW Rqst”. Unfortunately the display does not hold enough characters to display the full text of “Redundancy Switch Request”. Following is a short list of abbreviations used. A similar section is included in the manual listing abbreviations. BUC Block Upconverter, typically from L-Band to C or Ku Band. What Modems are the PSM-500/4900 Series compatible with? This is a multi-part answer. First, is data path compatibility from the data interface through IF/RF. This level indicates that the two modems can talk to each other and pass traffic. BPSK Mode – Some other brand of modems invert the “C0/C1” sense in the Viterbi FEC in BPSK mode. You may need to reverse the PSM-500/4900 C0/C1 parameter to inter-operate with these modems. Reed-Solomon – Some other brands of modems remove scrambling when operating in Reed-Solomon concatenated FEC mode. You may need to disable the PSM-500/4900 scrambler and descrambler to inter-operate with these modems. Second is Feature and Option Compatibility. In item F2 below is a list of non-compatible features and modes between the PSM-500/4900 and other modems. What PSM-500/4900 Features and Modes are NOT compatible with other modems? 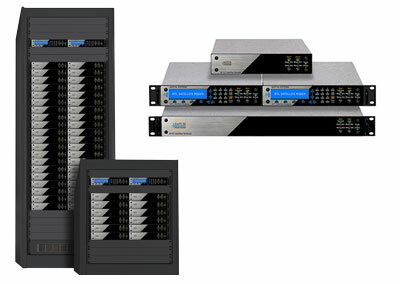 There are several unique and proprietary modes that the PSM-500/4900 Series are capable of that are not compatible with other modem brands. There are also specific operating modes that the PSM-500/4900 was not designed to operate in. A list is given below with the reason why this mode is not compatible. “IDR” operation including the overhead channels (ESC) – The PSM-500/4900 was not designed to operate as an IDR modem. IESS “Open System” modes – The PSM-4900 was not designed to operate in Open System mode, but the PSM-500 does include the ability to operate in either Open or Closed System mode. In the PSM-4900 this will probably work, but a performance penalty of up to 0.7 dB may be observed. If another brand of modem is set into “Closed System” mode then full performance on the link should be possible. Turbo Product Codes (TPC) operation. There is no Intelsat or other standard for this FEC technology yet. 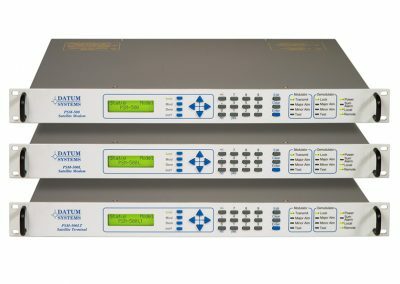 Datum Systems has done extensive research and development to achieve the best performance possible using this new technology, but the specific modes are not compatible with other implementations. See the revised Modem performance curves available on this web site at Tech Note 6 for more information on the fantastic performance improvements provided by this new technology. AUPC using our IBS Multiplexer option. AUPC and other features of our “Enhanced” and “Custom” IBS operating modes, such as Remote Modem Control, are proprietary to Datum Systems. All other IBS Multiplexer “Enhanced” and “Custom” operating modes are proprietary to Datum Systems. For example we buffer the overhead channel and provide standard asynchronous data rates on our overhead channel. We also allow changing the ratio of data load and framing bits within the multiplexer for more flexibility. Reed-Solomon FEC “Enhanced” and “Custom” operating modes may be proprietary to Datum Systems. The standard R-S modes are compatible, but we allow altering the “n, k and t” values of the FEC for specific applications (which are sometimes used to achieve compatibility with other special modems), but are generally not IESS dictated modes. Sequential FEC operation – The PSM-500/4900 does not include this capability. DVB type Viterbi FEC – Some SPL/ACT Modems use a DVB version of Viterbi and some also include the DVB version of Viterbi plus Reed-Solomon. These are NOT compatible with the standard Intelsat defined Viterbi implementation used in the PSM-500/4900 or most other common modems. Remote Control Protocol – This is unique to almost every brand of modem. M&C software writers often include the capability for “drivers” meant for specific modems and brands. What Out Door Units (ODU) is the PSM-500/4900 compatible with? There are three types of outdoor units that the PSM-500/4900 Series may be used with depending on the type and IF Link (IFL) used. Standard 70 MHz PSM-500/4900 Modem- Most outdoor transceivers and radios manufactured by various companies including Anacom, Agilis, Codan, NJRC and others. Hybrid PSM-4900H Modem – Uses two outdoor items, a Transmit Unit (the transmit side of a transceiver) and an LNB. Outdoor Transmit Units are manufactured by Agilis, Storke Industries, Codan and Anacom. The LNB requires a data grade or PLL type unit and typical ones are made by California Amplifier, NJRC, Norsat, Zinwell and others. Full L-Band PSM-500/4900L Modem – Uses two outdoor items, a Block Up Converter (BUC) and an LNB. Outdoor BUCs are manufactured by Agilis, Codan, Norsat, NJRC, Dovecom, Advantech, Tampa Microwave and Zinwell and possible others. The LNB requires a data grade or PLL type unit and typical ones are made by California Amplifier, NJRC, Norsat, Zinwell and others. A “TVRO” type LNB is not suitable. Obviously the BUC power output, frequency range, LNB stability, noise figure and other specifications are determined by system/link engineering. The PSM-500/4900L has been designed to meet the common specifications of virtually every BUC we could locate specifications for.